Super great colors, light, textures, and shadows! Nice contrast in colors, with the bright yellow and the green grass shoots. The soil looks nice and moist--maybe after one of our recent rains. 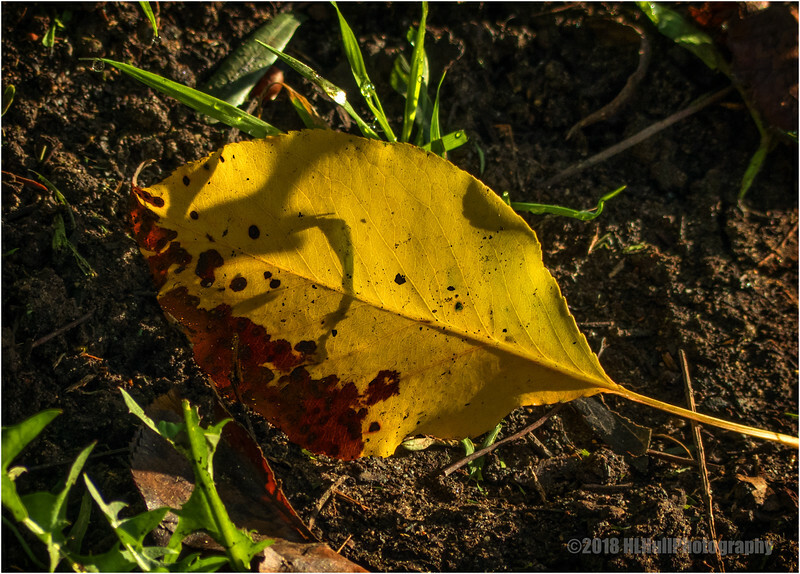 Beautiful lighting on this fallen leaf.